Amid the entire clamour about Brexit and the consequent topsy turvy behaviour of the stock and foreign exchange markets, a few of the old rules still apply. In times of uncertainty, defensive stocks are the safest. It was during the search for one of these defensive investments among the 'small cap' UK companies that I came across Braemar Shipping. Braemar is a small company with a small market cap of £120m but it operates worldwide with its main hubs in London, Singapore, Houston and Australia. Set up a long time ago by two brothers as shipping merchants, today Braemar is a leading provider of knowledge- and skills-based services to the shipping industry including onshore, offshore and the insurance industry. It operates three specialist divisions; ship-broking, logistics and technical. Interestingly, it is one of the few companies to gain from the oil crises. 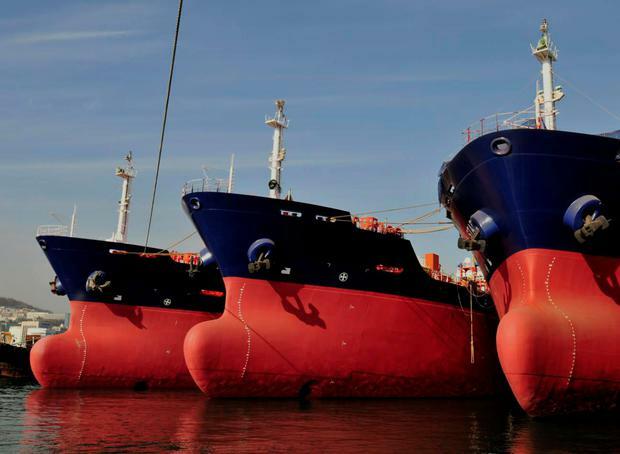 Lower oil prices and increased oil production have significantly benefited the company's chartering business but has negatively impacted on its off-shore business. The group's main geographical operation is the UK but a considerable amount of its income is earned in dollars while most of its costs are in sterling. The Brexit vote followed by the fall in sterling and the strengthening of the dollar helps the company. Its ship-broking business is Braemar's largest, accounting for 44pc of group revenue. It handles charters of all types of vessels including tankers for crude oil, Liquefied Natural Gas (LNG) and petrol products. It also acts as agent for the sale and purchase of vessels both new and second hand. Overall, the division performed well last year driven by the strength of the tanker market, and their elevated rates, which, as pointed out earlier, is 'happy days' for Braemar. Last year, ship-broking contributed £71m to group revenues and operating profits were £6.4m. The group logistics business trades as Cory Bros. The division provides onshore services like freight forwarding, custom clearances and cargo surveying, and handles most of the needs of vessels while in port. The division had a challenging year with revenue plunging by £8m to £34m, reflecting lower levels of freight-forwarding business. Operating profits also fell by a considerable 30pc to £1.5m. The company's technical division includes marine investigation, loss adjusting, marine surveys, risk assessment and consultancy for LNG and offshore services. A cutback in exploration activity by the large oil concerns, triggered by flagging oil prices had an impact on the division's results. While it generated £54m in revenue an increase of £4m, its operating profits slipped by £1m to £5.2m. The recent results are the first full-year contributions following its purchase of the ship-broking company ACM two years ago, raising revenue by 9pc to £160m. Operating profits jumped an impressive 27pc to £10m. This can be explained by the oil price slump that began two years earlier, resulting in a fall in profits. Braemar has consistently delivered £9m to £10m in operating profits each year over the last five years. Of slight concern is its margins. The company had a profit of £10m on sales of £131m five years ago, yet today it has almost the same profit with £160m of sales. But with the oil price plunging and aggressive cut backs by oil multinationals, the company's market has changed considerably in the last five years. There is some reassurance for punters in a net cash position of £9m. Braemar is a tiny and tidy company and unlike some larger concerns, makes no political subscriptions, pays modest salaries and bonuses are related to earnings per share growth. It has benefited from Brexit, has dollar earnings, no debt worries and a very attractive dividend yield. My only concern is the liquidity of its shares but Braemar is a good income play.